Prior to every cooling season, you should have your air conditioning system professionally tuned up and cleaned. This process can be compared to getting your vehicle’s oil changed. Skipping this type of AC maintenance can lead to untimely breakdowns, expensive repairs, and sometimes even system replacement. Additionally, many equipment manufacturers will not uphold their parts warranties if you can’t provide proof of consistent maintenance. Fred’s Unmatched Precision AC Tune-Up is one of the most comprehensive in the area and will help guarantee your air conditioner is ready to perform all summer long. Consistent, planned maintenance is the smartest thing you can do for your heating and cooling system. Equipment manufacturers suggest that your air conditioner and furnace be professionally tuned up and cleaned before each high-use season. Preventive maintenance increases efficiency, reduces the likelihood of expensive AC repairs and gives you confidence that your AC will perform on even the hottest of days. Our maintenance program includes both a cooling and heating tune-up, along with a ton of other great benefits. Worry-free scheduled maintenance for your furnace, air conditioner, and humidifier. We handle the scheduling so you don’t have to! Never pay an overtime or holiday fee (24/7/365) and you always save 20% off of our standard diagnostic rate. Our exclusive 5 year parts and labor warranty on any repair we make as long as you maintain an active PCSA. 15% discount on all repairs. “Front-of-Line” scheduling and service in case of an emergency. Extended AC and Furnace life and decreased utility bills. Guaranteed service within 24 hours. Call Fred’s today to learn more about this exclusive program and how it pays to become one of our Priority Customers! Save Money and Keep Cool This Summer! Fred’s Heating and Air’s professionally trained and certified service technicians are experts when it comes to AC tune-ups on all makes and models of air conditioners. Our technicians are known for performing the most thorough air conditioning tune-ups in the Omaha area. 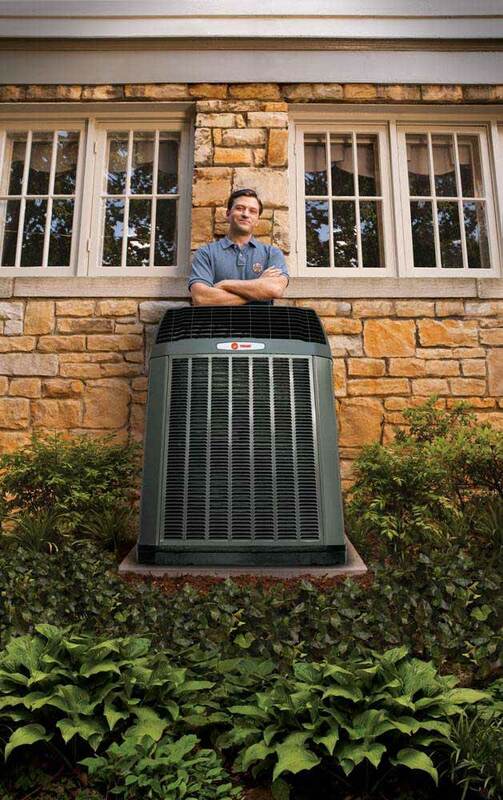 They make sure that your system is ready to keep you cool all summer long!